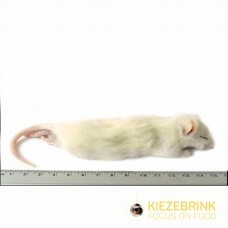 Kiezebrink offer a full selection of frozen rats from rat pups to extra-jumbo rats (+450gms). 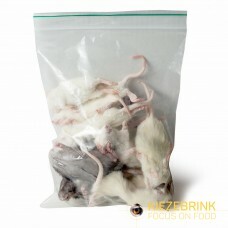 Our frozen rats are available individually or in packs for the smaller sizes. 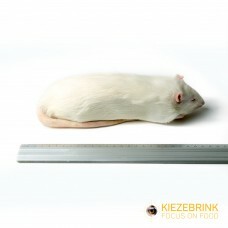 Pictures are for guidance only, colouration of rats may vary. Please request specific demands. 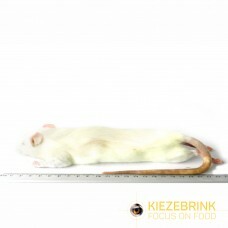 Frozen rats have a high nutritional value for cats. Outside, cats often hunt for their prey. 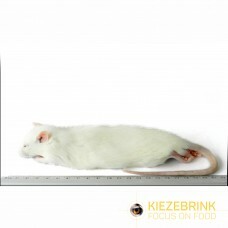 Frozen rats for cats can be easily mixed with canned food to ensure a varied diet. 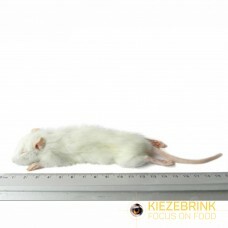 The best way to feed your cat of other feline is to offering different meat over time. 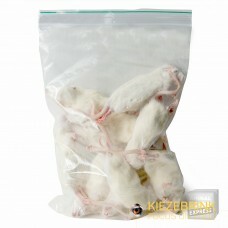 To do so, you can also take a look at our minced foods or frozen mice for cats. 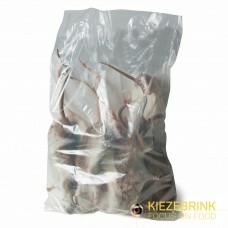 Here at Kiezebrink, we have a large range of different kinds of frozen rats and other prey. For your convenience, we deliver at your door. Do you need your order in a hurry? 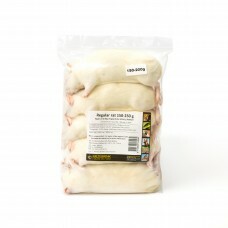 We can offer you next day delivery during the week (Monday - Thursday) if you order before 11:30 am. 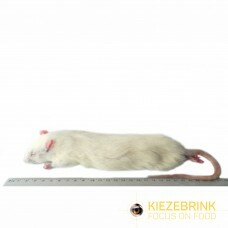 Frozen Regular Rat also know as a Medium Rat, which weigh between 150 – 250gm.Delivered fr..